Class crews, and occasionally crews representing fraternities, existed at the University of Pennsylvania throughout the second half of the nineteenth century whenever enough members of a class shared an enthusiasm for rowing. As early as 1854, when the University was still at its Ninth Street Campus, enthusiastic students founded the University Barge Club. Informal class rowing competitions also began about this time. 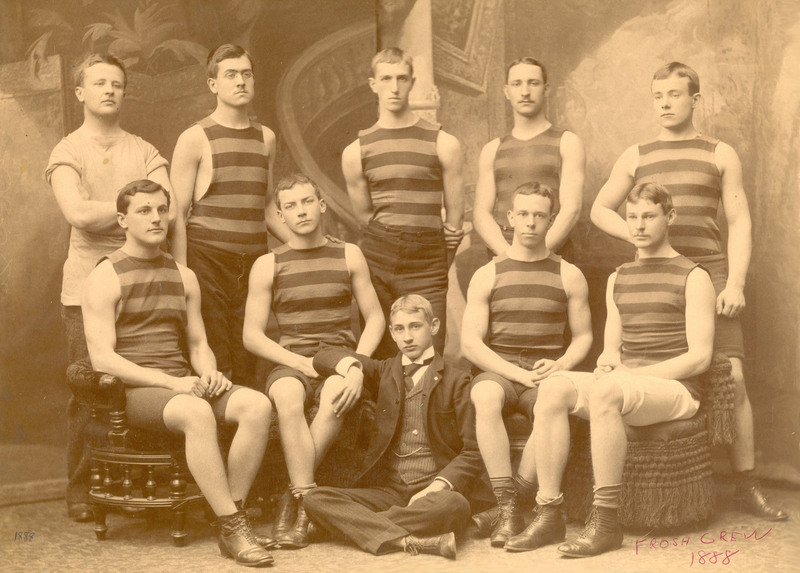 By the 1890s the organized competition of classes in the College, Law and Medical Schools took place in the fall, with varsity rowing scheduled in the spring. The earliest yearbooks, from 1863 on, often refer to class crews, although not every class could put together a crew every year. The first yearbook, from 1863, lists members of the two crews organized by the freshman and sophomore classes. Cricket, but not rowing, is mentioned in the next yearbook, from 1865. The third yearbook, from 1867, mentions only the University Barge Club. The Barge Club was again included in the yearbook for the following years, 1868, and 1869, along with a boat club organized by Delta Psi fraternity. The Barge Club and its members are found in the 1870 yearbook, but no crews were mentioned in the 1871 yearbook. The 1872 yearbook again listed two class crews, this time from the freshman and senior classes. After the move to the new Penn campus in West Philadelphia, class crews for the College and for the Medical School appear in yearbooks throughout the rest of the nineteenth century. The establishment of the College Boat Club in 1872 and the completion of its boathouse on the Schuylkill River Boathouse Row in 1874 provided the classes with a base for training and competing. When Ellis Ward arrived as a trainer in 1879, he worked not only with the varsity crew, but also with the class crews. Ward was particularly interested in the freshman crew, since this group would provide rowers for both class and varsity crews in subsequent years. 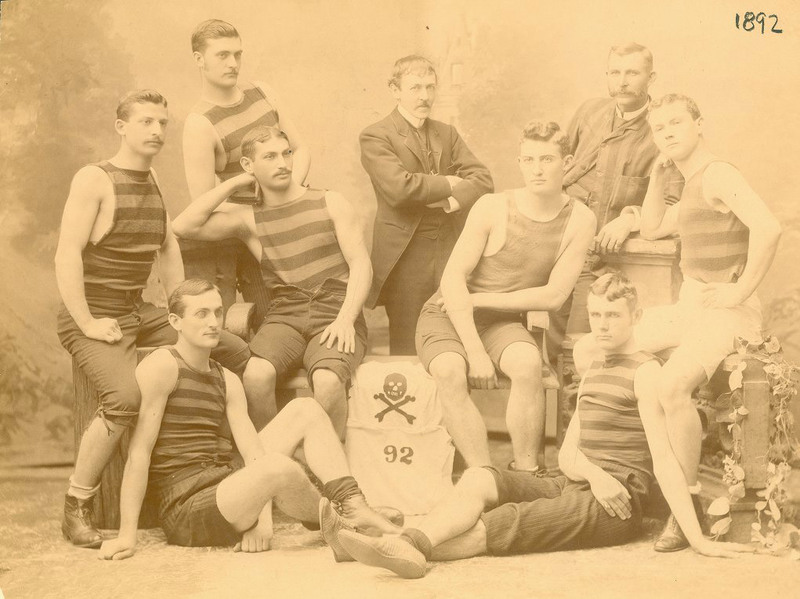 From 1887 on, Ward tried to schedule one intercollegiate competition for the eight-oar freshman crew each year; such races occurred from 1887 to 1889 and from 1895 to 1896. If anything, the rivalry between class crews increased in the last two decades of the nineteenth century. Class crews competed for the honor of their class and for the Powel Cup. The class winning the Powel Cup also won points toward the trophy awarded to the most outstanding class each year; by 1900 this prize was the Dean’s Trophy. Accounts of these contests can be found in a number of yearbooks, including the 1887 Record (page 94) and the 1900 Record (beginning at page 165).